Sneak preview: 2018 Forecasting and Inventory Benchmark Study - E2open | Demand. Supply. Delivered. What’s your favorite time of year? For some people, it might be the first sign of spring, or if you’re a movie buff perhaps it’s around the Oscars. For me, as a bit of a supply chain geek, it’s the publication of our annual benchmark study, which is coming out next month. This study provides the “state of the nation” for forecasting, reporting on both demand planning and demand sensing performance in the consumer product industry. Each year, our study gives planners a reference point for comparing their forecasting performance and network complexity to the industry average and best-in-class. For those interested in demand sensing as a way to improve near-term accuracy, our study offers an unvarnished view of the aggregate performance of more than $250 billion in sales from large consumer goods manufacturers, including Procter & Gamble, General Mills and Kimberly-Clark. Are consumer goods getting easier or harder to forecast? Is the rapid pace of SKU proliferation slowing down? What value-add do investments in demand planning actually provide? What is best-in-class when it comes to forecasting? What impact can automation, machine learning and the use of current demand signals bring to forecasting? Of course, performance of new products and slow-moving items in the tail are always top of mind. Innovation is key to getting ahead and staying ahead—it’s never been more important than in today’s fast-paced world where new competitive offerings keep nipping at the heels of established leaders. Disrupt or be disrupted. For management, understanding the true and often hidden cost of innovation is important to find the right balance. Not only are new products hard to forecast, but each change—whether it’s a new category, a line extension or simply new packaging—adds complexity, along with inventory and production changeover costs. Competition for development funds and high hurdle rates risk promoting a culture where every new product is expected to be a winner. In reality, however, more than 90% of new introductions end up in the tail. Once in the tail, very few products break out to become higher sellers, making the long tail even longer. Failure to promptly cut these items fuels widespread SKU proliferation, which our study has consistently tracked since 2010. Over the last 8 years, the growth in active items outpaced the rise in sales by a factor of two. This trend, though concerning, is just the tip of the iceberg—while the number of active items rose by 36%, the cumulative growth in unique items during this period more than tripled! To gain further visibility into the true costs of SKU proliferation, we expanded this year’s benchmark study to include a measure of inventory. This provides a financial context to otherwise technical supply chain metrics. It’s one thing to report that error is almost 2X higher for items in the tail than top movers, but it’s another to know what this means in terms of working capital invested in inventory. It turns out that the tail is not only long but expensive. 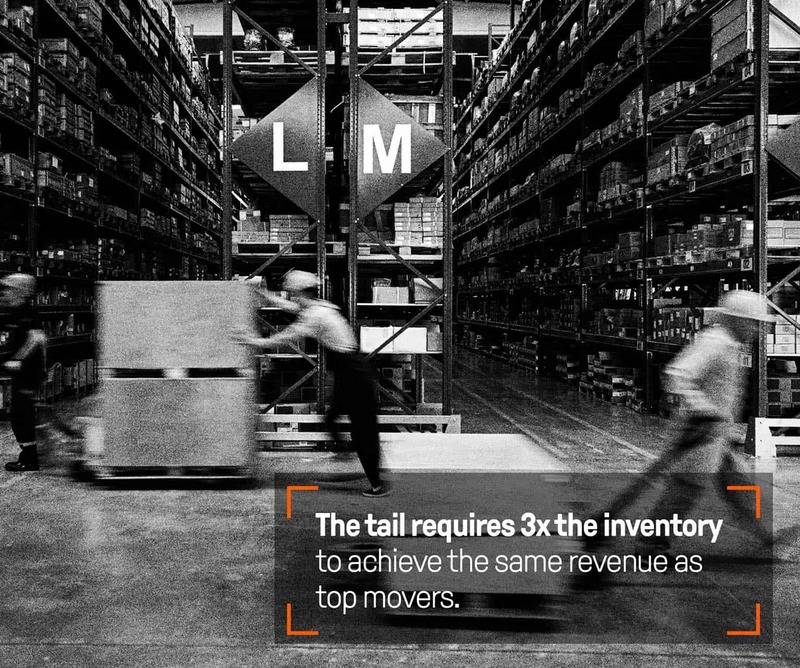 For the same sales revenue, 3X more inventory is carried for items in the tail than for high-velocity A or super-A items. For anyone wondering whether it’s time to step up from traditional single-echelon inventory management to multi-echelon inventory optimization (MEIO), our study is a must read. 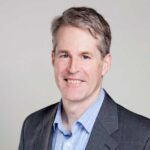 Inventory reduction is commonly used to justify a wide range of initiatives and routinely disappoints to the point that many companies feel jaded. The running joke is that if even half the promised benefits of projects in the last five years were realized, inventory would be negative! What’s been missing is an objective industry reference to understand the true benefits of inventory reduction. To this end, the 2018 benchmark study has been enhanced to include an aggregate measure of actual inventory reductions realized by participating companies with MEIO. The fact-based, apples-to-apples comparison reveals that using MEIO with demand sensing reduces the actual levels of safety stock carried by 31%, compared to traditional single-echelon management. Interestingly, the use of MEIO alone without the better forecasts from demand sensing only lowers safety stock by 13%. The two takeaways are that MEIO works and that accuracy matters. The combination of sensing and optimization more than doubles the inventory reduction benefit of optimization on its own. Anyone serious about freeing up working capital should consider both. Stay tuned for more forecasting and inventory details coming soon—E2open’s 2018 Forecasting and Inventory Benchmark Study will be released in February.